Since joining Voice Entertainment in 2015, Stephanie Ho (何雁詩) was heavily promoted and her career was on a steady rise. In addition to releasing well-received albums, the 25-year-old artiste also starred in several TVB dramas with heavy screen time and was given the opportunity to sing various series theme songs. 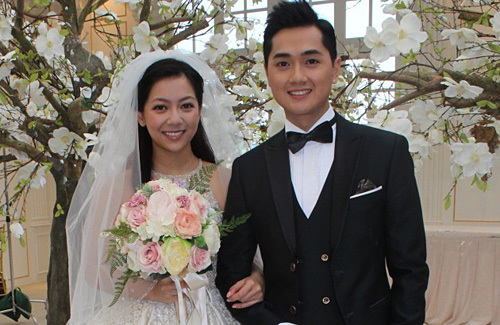 However, ever since her relationship with Fred Cheng (鄭俊弘) was exposed, Stephanie’s career has been at a standstill. Her image plummeted after the media branded her as the third party in Fred’s previous relationship. Initially, the couple kept their relationship under wraps. They were speculated to be dating after spotted out together on several occasions. Against the company’s advice, the couple appeared hand-in-hand at the airport and publicly announced their relationship. Voice Entertainment eventually “froze” them both. While Fred’s career slowly revived after the fiasco, Stephanie continued to see decline in her singing career. In comparison to her fellow artistes under Voice Entertainment, such as Jinny Ng (吳若希) and Hana Kuk (菊梓喬), Stephanie’s career has remained at a standstill with no new opportunities. In addition to a deteriorating career, Stephanie was also under a lot of pressure from the media, eventually leading to depression. For the sake of her mental health as well as to help Fred’s career, Stephanie ultimately decided not to renew her contract. Instead, she has been focusing on her golfing career. Perhaps unbeknown to many, Stephanie started playing golf when she was six years old and entered many tournaments. In January of this year, she competed and won first place at the Hong Kong Ladies Close Amateur Championship. After making her comeback in golf, she consequently returned to her position as a Hong Kong National Golf Team representative. Wow, what a waste! She’s much more hopeful as a singer AND actor than Fred. Ugh, is this another picking male over female bias BS? I mean, if they did cheat, Fred is at fault too. Fred is mediocre at best in singing and acting, and over promoted too quick. He has no on screen charisma nor the built to be a series lead. His songs are all one note and same same style. I hope he improves soon. It’s still a shame for Stephanie if this gossip is true. Hopefully she can still make it as a support actress while concentrating on her golf. I don’t think Stephanie has much of a choice other than sacrifice her music career. The usual public reaction when an idol is taken. For a skinny kid with no charisma, I’m surprised Fred has so many female fans…. So much talent. It’s unfortunate how the public puts so much stress on these artists. I hope she is recovering well and finds happiness. @coralie Very true, though I would say that most of the Voice Entertainment singers fall into that “mediocre” category too (the only one I like is Hubert Wu, whom I’ve felt had potential even back when he was participating in the Voice singing contest — to this day, I still feel he was robbed of the first place crown due to the judges’ sympathy votes for Mag Lam, but that’s a whole other story altogether). I’m not trying to be mean but I honestly don’t feel like Fred and Stephanie are going to last (with the problem being mostly on Fred’s side, as he’s proven to be horrible when it comes to maintaining relationships), so if Stephanie does decide to give up her career for him, then good luck to her. Hope she has something to fall back on (aside from golf) in case things don’t work out. I guess love is blind. Steph can do better. Any best of luck girl. Lol. I thought they’re getting married from the picture above. Lol. Maybe he’s too cute so she doesn’t want to give up on him this fast who knows. Fred would have come last if it was ‘The Voice’ singing contest and not the ‘The Voice Celebrity’ singing contest…. So if he was the one who cheated why is she the one getting punished still? So unfair.